 Refer one or more active accounts to Alaric Trader and we will combine monthly volume totals from those accounts to help you achieve lower commission tier rates (see our current rates – certain conditions apply*). Or if you choose, you can receive $100 cash back instead. We will aggregate your account activity with that of all of your referred account’s monthly shares traded to qualify your “group” to our Active Trader Commission tiers. Please note: stock and options will be aggregated separately. Referred accounts will be matched to your current rate and we will monitor the group’s total activity to determine when you qualify for an adjusted lower rate. Adjusted rates will be effective at the beginning of the next calendar quarter. Volume reviews will be done at the end of each calendar quarter to determine the appropriate commission tier. Each referred account must be funded and maintain a minimum balance of $10,000. Existing clients who are referring accounts but who do not currently maintain a balance of $10,000 or more need not increase their balance in order to refer accounts under this promotion. Promotional rates cannot be used in combination. * Only new clients are eligible for referral. New clients are those who do not currently have an active Alaric Trader account and/or have not had an active Alaric Trader account during the 6 months prior to signing up. * Accounts which are referred to Alaric Trader by clients with rates below our lowest published rate will be set to our lowest published rate. * Promotional rates cannot be used in combination (i.e. an existing client who is currently benefiting from the FREE2016 promo qualifies under that promo only for as long as that account is charged at our full posted rate.) In the event a FREE2016 client refers another account and that “group”, in the aggregate, qualifies for a lower commission rate tier, the FREE2016 promo will be terminated as of the effective date of the lowered commission rate. * Listed stocks only. OTCBB and Pink sheet volume does not apply.